Kant is the one author for whom I cannot feel any kinship. Everything in him exasperates me, above all his legalism—always asking Quid Juris? Or ‘Haven’t you crossed the limit?’—combined, as in today’s United States, with a religiosity that is all the more dismal in that it is both omnipresent and vague. The critical machinery he set up has enduringly poisoned philosophy, while giving great succour to the academy, which loves nothing more than to rap the knuckles of the overambitious [….] That is how I understand the truth of Monique David-Menard’s reflections on the properly psychotic origins of Kantianism (La Folie dans la raison pure). I am persuaded that the whole of the critical enterprise is set up to to shield against the tempting symptom represented by the seer Swedenborg, or against ‘diseases of the head’, as Kant puts it (535-536). An entire nexus of the limits of reason and philosophy are set up here, namely that the critical philosophy not only defends thought from madness, philosophy from madness, and philosophy from itself, but that philosophy following the advent of the critical enterprise philosophy becomes auto-vampiric; feeding on itself to support the academy. Following Francois Laruelle’s non-philosophical indictment of philosophy, we could go one step further and say that philosophy operates on the material of what is philosophizable and not the material of the external world. Beyond this, the Kantian scheme of nestling human thinking between our limited empirical powers and transcendental guarantees of categorical coherence, forms of thinking which stretch beyond either appear illegitimate, thereby liquefying both pre-critical metaphysics and the ravings of the mad in the same critical acid. In rejecting the Kantian apparatus we are left with two entities – an unsure relation of thought to reality where thought is susceptible to internal and external breakdown and a reality with an uncertain sense of stability. These two strands will be pursued, against the sane-seal of post-Kantian philosophy by engaging the work of weird fiction authors H.P. Lovecraft and Thomas Ligotti. The absolute inhumanism of the formers universe will be used to describe a Shoggothic Materialism while the dream worlds of the latter will articulate the mad speculation of a Ventriloquil Idealism. But first we must address the relation of philosophy to madness as well as philosophy to weird fiction. There is nothing that the madness of men invents which is not either nature made manifest or nature restored. Michel Foucault. Madness and Civilization (283). The moment I doubt whether an event that I recall actually took place, I bring the suspicion of madness upon myself: unless I am uncertain as to whether it was not a mere dream. Arthur Schopenhauer. The World as Will and Idea, Vol. 3 (168). Madness is commonly thought of as moving through several well known cultural-historical shifts from madness as a demonic or otherwise theological force, to rationalization, to medicalization psychiatric and otherwise. Foucault’s Madness and Civilization is well known for orientating madness as a form of exclusionary social control which operated by demarcating madness from reason. Yet Foucault points to the possibility of madness as the necessity of nature at least prior to the crushing weight of the church (23). Kant’s philosophy as a response to madness is grounded by his humanizing of madness itself. As Adrian Johnston points out in the early pages of Time Driven pre-Kantian madness meant humans were seized by demonic or angelic forces whereas Kantian madness became one of being too human. Madness becomes internalized, the external demonic forces become flaws of the individual mind. Foucault argues that, while madness is de-demonized it is also dehumanized during the Renaissance, as madmen become creatures neither diabolic nor totally human (70) reduced to the zero degree of humanity (74). It is immediately clear why for Kant, speculative metaphysics must be curbed – with the problem of internal madness and without the external safeguards of transcendental conditions, there is nothing to formally separate the speculative capacities for metaphysical diagnosis from the mad ramblings of the insane mind – both equally fall outside the realm of practicality and quotidian experience. David-Menard’s work is particularly useful in diagnosing the relation of thought and madness in Kant’s texts. David-Menard argues that in Kant’s relatively unknown “An Essay on the Maladies of the Mind” as well as his later discussion of the Seer of Swedenborg, that Kant formulates madness primarily in terms of sensory upheaval or other hallucinatory theaters (85). She writes: “madness is an organization of thought. It is made possible by the ambiguity (and hence the possible sub- version) of the normal relation between the imaginary and the perceived, whether this pertains to the order of sensation or to the relations between our ideas” (86) Kant’s fascination with the Seer forces Kant between the pincers of “aesthetic reconciliation” – namely melancholic withdrawal – and “a philosophical invention” – namely the critical project. Deleuze and Guattari’s schizoanalysis is a combination and reversal of Kant’s split, where an aesthetic over engagement with the world entails prolific conceptual invention. Their embrace of madness, however, is of course itself conceptual despite all their rhizomatic maneuvers. Though they move with the energy of madness, Deleuze and Guattari save the capacity of thought from the fangs of insanity by imbuing materiality itself with the capacity for thought. Or, as Ray Brassier puts it, “Deleuze insists, it is necessary to absolutize the immanence of this world in such a way as to dissolve the transcendent disjunction between things as we know them and as they are in themselves” (3). That is, whereas Kant relied on the faculty of judgment to divide representation from objectivity (2) Deleuze attempts to flatten the whole economy beneath the juggernaut of ontological univocity. Speculation, as a particularly useful form of madness, might fall close to Deleuze and Guattari’s shaping of philosophy into a concept producing machine but is different in that it is potentially self destructive – less reliant on the stability of its own concepts and more adherent to exposing a particular horrifying swath of reality. Speculative madness is always a potential disaster in that it acknowledges little more than its own speculative power with the hope that the gibbering of at least a handful of hysterical brains will be useful. Pre-critical metaphysics amounts to madness, though this may be because the world itself is mad while new attempts at speculative metaphysics, at post-Kantian pre-critical metaphysics, are well aware of our own madness. Without the sobriety of the principle of sufficient reason (following Meillassoux) we have a world of neon madness: “we would have to conceive what our life would be if all the movements of the earth, all the noises of the earth, all the smells, the tastes, all the light – of the earth and elsewhere, came to us in a moment, in an instant – like an atrocious screaming tumult of things” (104). Speculative thought may be participatory in the screaming tumult of the world or, worse yet, may produce its spectral double. Against theology or reason or simply commonsense, the speculative becomes heretical. Speculation, as the cognitive extension of the horrorific sublime should be met with melancholic detachment. Whereas Kant’s theoretical invention, or productivity of thought, is self-sabotaging, since the advent of the critical project is a productivity of thought which then delimits the engine of thought at large either in dogmatic gestures or non-systematizable empirical wondrousness. The former is celebrated by the fiction of Thomas Ligotti whereas the latter is espoused by the tales of H.P. Lovecraft. /2/ – Weird Fiction and Philosophy. Supernatural horror, in all its eerie constructions, enables a reader to taste treats inconsistent with his personal welfare. Thomas Ligotti Songs of a Dead Dreamer (212). The most merciful thing in the world, I think, is the inability of the human mind to correlate all its contents. We live on a placid island of ignorance in the midst of black seas of infinity, and it was not meant that we should voyage far. The sciences, each straining in its own direction, have hitherto harmed us little; but some day the piecing together of dissociated knowledge will open up such terrifying vistas of reality, and of our frightful position therein, that we shall either go mad from the revelation or flee from the deadly light into the peace and safety of a new dark age (355). Despite Lovecraft’s invocations of illusion, he is not claiming that his fantastic creations such as the Old Ones are supernatural but, following Joshi, are only ever supernormal (89). One can immediately see that instead of nullifying realism Lovecraft in fact opens up the real to an unbearable degree. In various letters and non-fictional statements Lovecraft espoused strictly materialist tenets, ones which he borrowed from Hugh Elliot namely the uniformity of law, the denial of teleology and the denial of non-material existence (7). Lovecraft seeks to explore the possibilities of such a universe by piling horror upon horror until the fragile brain which attempts to grasp it fractures. This may be why philosophy has largely ignored weird fiction – while Deleuze and Guattari mark the turn towards weird fiction and Lovecraft in particular, with the precursors to speculative realism (Nick Land) as well as contemporary related thinkers (especially Reza Negarestani, and Eugene Thacker) have begun to view Lovecraft as making philosophical contributions. Lovecraft’s own relation to philosophy is largely critical (making critical remarks about Bergson and Freud for example) while celebrating Nietzsche and Schopenhauer (especially the latter in the guise of the former). This relationship of Lovecraft to philosophy and philosophy to Lovecraft is coupled with Lovecraft’s habit of mercilessly destroying the philosopher and the figure of the academic more generally in his work, a destruction which is both an epistemological destruction (or sanity breakdown) and an ontological destruction (or unleashing of the corrosive forces of the cosmos). This is not to say that Ligotti sees nothing beneath the surface but that there is only darkness or blackness behind it, whether that surface is on the cosmological level or the personal. By addressing the implicit and explicit philosophical issues in Ligotti’s work we will see that his nightmarish take on reality is a form of malevolent idealism, an idealism which is grounded in a real, albeit dark and obscure materiality. Just a little doubt slipped into the mind, a little trickle of suspicion in the bloodstream, and all those eyes of ours, one by one, open up to the world and see its horror […] Not even the solar brilliance of a summer day will harbor you from horror. For horror eats the light and digests it into darkness (Songs of a Dead Dreamer, 208). Clearly, the weird fiction of Lovecraft and Ligotti amount to a anti-anthrocentric onslaught against the ramparts of correlationist continental philosophy. Formless protoplasm able to mock and reflect all forms and organs and processes—viscous agglutinations of bubbling cells—rubbery fifteen-foot spheroids infinitely plastic and ductile—slaves of suggestion, builders of cities—more and more sullen, more and more intelligent, more and more amphibious, more and more imitative—Great God! What madness made even those blasphemous Old Ones willing to use and to carve such things? On the other hand, affirming that the universe resembles nothing and is only formless amounts to saying that the universe is something like a spider or spit. It was a terrible, indescribable thing vaster than any subway train – a shapeless congeries of protoplasmic bubbles, faintly self-luminous, and with myriads of temporary eyes forming and un-forming as pustules of greenish light all over the tunnel-filling front that bore down upon us, crushing the frantic penguins and slithering over the glistening floor that it and its kind had swept so evilly free of all litter (802). The term is a litmus test for materialism itself as the Shoggoth is an amorphous creature. The Shoggoths were living digging machines bio engineered by the Elder Things, and their protoplasmic bodies being formed into various tools by their hypnotic powers. The Shoggoths eventually became self aware and rose up against their masters in an ultimately failed rebellion. After the Elder Ones retreated into the oceans leaving the Shoggoths to roam the frozen wastes of the Antarctic. The Shoggoths or Elder Things do not even share the same reality with the human beings who encounter them—and yet this encounter takes place, though in a strange no-place that is neither quite that of the phenomenal world of the human subject or the noumenal world of an external reality (23). Amorphous yet definitively material beings are a constant in Lovecraft’s tales. In his tale “The Dream-Quest of Unknown Kadatth” Lovecraft describes Azathoth (an Outer god like Nyarlathotep) as, “that shocking final peril which gibbers unmentionably outside the ordered universe,” that, “last amorphous blight of nethermost confusion which blashphemes and bubbles at the centre of all infinity,” who, “gnaws hungrily in inconceivable, unlighted chambers beyond time” (410). Azathoth’s name may have multiple origins but the most striking is the alchemy term azoth which is both a cohesive agent and a acidic creation pointing back to the generative and the decayed. The indistinction of generation and degradation materially mirrors the blur between the natural and the unnatural as well as life and non-life. Lovecraft speaks of the tension between the natural and the unnatural is his short story “The Unnameable.” He writes, “if the psychic emanations of human creatures be grotesque distortions, what coherent representation could express or portray so gibbous and infamous a nebulousity as the spectre of a malign, chaotic perversion, itself a morbid blasphemy against Nature?” (260). Lovecraft explores exactly the tension outlined at the beginning of this chapter, between life and thought. At the end of his short tale Lovecraft compounds the problem as the unnameable is described as “a gelatin—a slime—yet it had shapes, a thousand shapes of horror beyond all memory” (261). Deleuze suggests that becoming-animal is operative throughout Lovecraft’s work, where narrators feel themselves reeling at their becoming non-human (240) or of being the anomalous (244-245) or of becoming atomized (248). Following Eugene Thacker however, it may be far more accurate to say that Lovecraft’s tales exhibit not a becoming-animal but a becoming-creature. Where the monstrous breaks the purportedly fixed laws of nature (or nature as we know it), the creature is far more ontologically ambiguous. The nameless thing is an altogether different horizon for thought (Thacker, 23). The creature is either less than animal or more than animal (Thancker, 97) – its becoming is too strange for animal categories and indexes the slow march of thought towards the bizarre. This strangeness is, as aways, some indefinite swirling in the category of immanence and becoming. Bataille begins “The Labyrinth” with the assertion that being, to continue to be, is becoming. More becoming means more being hence the assertion that Bataille’s barking dog is more than the sponge (171). This would mean that the Shoggotth is altogether too much being, too much material in the materialism. What is this strange systematicity proper to a world of Becoming? What, for example, initiates this congealing that will undo itself? Is it possible to identify phases within this formativity, plateaus of differentiation? If so, do the phases/plateaus follow a temporal sequence? Or, does the process of formation inside Becoming require us to theorize a non-chronological kind of time? I think that your student’s question: “How can we account for something like iterable structures in an assemblage theory?” is exactly the right question (“Vibrant Matters”). Philosophy has erred too far on the side of the subject in the subject-object relation and has furthermore, lost the very weirdness of the non-human. Beyond this, the madness of thought need not override. My aim is the opposite of Lovecraft’s. He had an appreciation for natural scenery on earth and wanted to reach beyond the visible in the universe. I have no appreciation for natural scenery and want the objective universe to be a reflection of a character. Unless life is a dream, nothing makes sense. For as a reality, it is a rank failure [….] Horror is more real than we are. Thomas Ligotti. “Professor Nobody’s Little Lectures on Supernatural Horror” (211). 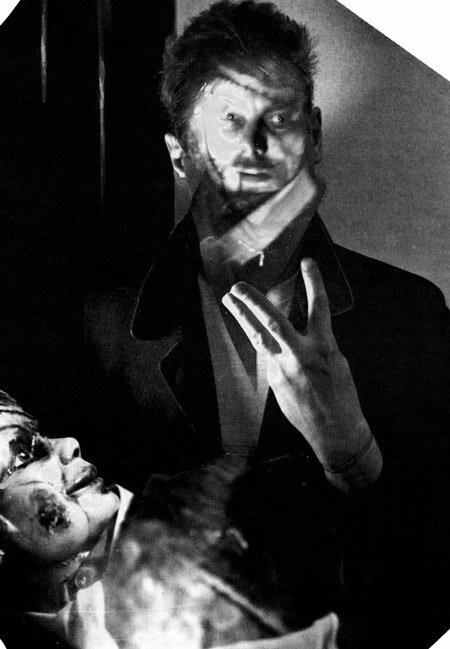 Thomas Ligotti’s tales are rife with mannequins, puppets, and other brainless entities which of replace the valorized subject of philosophy – that of the free thinking human being. 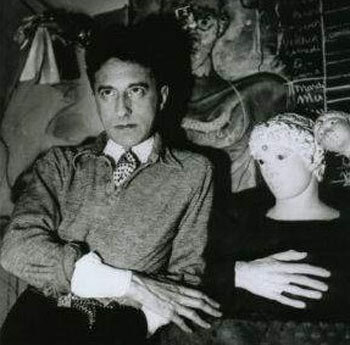 His tales such as “The Dream of the Manikin” aim to destroy the rootedness of consciousness. James Trafford has connected the anti-egoism of Ligotti to Thomas Metzinger – where the self is at best an illusion and we plead desperately for someone else to acknowledge that we are real. Trafford has stated it thus, “Life is played out as an inescapable puppet show, an endless dream in which the puppets are generally unaware that they are trapped within a mesmeric dance of whose mechanisms they know nothing and over which they have no control” (202). An absolute materialism, for Ligotti, implies an alienation of the idea which leads to a ventriloquil idealism. As Ligotti notes in an interview, “the fiasco and nightmare of existence, the particular fiasco and nightmare of human existence, the sense that people are puppets of powers they cannot comprehend, etc.” (Cardin, 2006) And then further elaborates that,“[a]ssuming that anything has to exist, my perfect world would be one in which everyone has experienced the annulment of his or her ego. That is, our consciousness of ourselves as unique individuals would entirely disappear” (Ayad, 2004). The externality of the idea leads to the unfortunate consequence of consciousness eating at itself through horror which, for Ligotti, is more real than reality and goes beyond horror-as-affect. Beyond this, taking together with the unreality of life and the ventriloquizing of subjectivity, Ligotti’s thought becomes an idealism in which thought itself is alien and ultimately horrifying. The role of human thought and the relation of non-relation of horror to thought is not completely clear in Ligotti’s The Conspiracy Against the Human Race. Ligotti argues in his The Conspiracy Against the Human Race,that the advent of thought is a mistake of nature (23) and that horror is being in the sense that horror results from knowing too much (109). Yet, at the same time, Ligotti seems to suggest that thought separates us from nature (221) whereas, for Lovecraft, thought is far less privileged – mind is just another manifestation of the vital principal, it is just another materialization of energy (“The Materialist Today,” 75). Belief in the supernatural is only superstition. That said, a sense of the supernatural, as Conrad evidenced in Heart of Darkness, must be admitted if one’s inclination is to go to the limits of horror. It is the sense of what should not be-the sense of being ravaged by the impossible. Phenomenally speaking, the super-natural may be regarded as the metaphysical counterpart of insanity, a transcendental correlative of a mind that has been driven mad (The Conspiracy Against the Human Race, 211). Again, Ligotti equates madness with thought, qualifying both as supernatural while remaining less emphatic about the metaphysical dimensions of horror. A: There is no grand scheme of things. B: If there were a grand scheme of things, the fact – the fact – that we are not equipped to perceive it, either by natural or supernatural means, is a nightmarish obscenity. C: The very notion of a grand scheme of things is a nightmarish obscenity (14). Here Ligotti is not discounting metaphysics but implying that if it does exist the fact that we are phenomenologically ill-equipped to perceive that it is nightmarish. For Ligotti, nightmare and horror occur within the circuit of consciousness whereas for Lovecraft the relation between reality and mind is less productive on the side of mind. It is (hopefully) easier to ascertain how the Kantian philosophy is a defense against the diseases of the head as Kant armors his critical enterprise from too much of the world and too much of the mind. The weird fiction of both Lovecraft and Ligotti demonstrates that there is too much of both feeding into one another in a way that corrodes the Kantian schema throughly, breaking it down into a dead but still ontologically potentiated nigredo. The haunting, terrifying fact of Ligotti’s idealism is that the transcendental motion which brought thought to matter, while throughly material and naturalized, brings with it the horror that thought cannot be undone without ending the material that bears it either locally or completely. Thought comes from an elsewhere and an elsewhen being-in-thought. The unthinkable outside thought (the thing in itself) is as maddening as the unthought engine of thought itself within thought (the mind or the self) which doesn’t exist except for the mind, the rotting décor of the brain. 1-Element of effective culture that makes itself real. 2-Fictional quantity functional as a time-traveling device. 4-Call to the Old Ones. The distinctively Lovecraftian character of hyperstition is hard to miss as is its Deleuzo-Guattarian roots. In the opening pages of A Thousand Plateaus Deleuze and Guattari write, “We have been criticized for over-quoting literary authors. But when one writes, the only question is which other machine the literary machine can be plugged into” (4). The indisinction of literature and philosophy mirrors the mess of being and knowing as post-correlationist philosophy, where philosophy tries to make itself real where literature, especially the weird, aims itself at the brain-circuit of horror. The texts of both Lovecraft and Ligotti work through horror as epistemological plasticity (too much/not enough knowledge) meeting with proximity (too much space in Lovecraft and not enough in Ligotti) as well as the deep time of Lovecraft and the glacially slow time of paranoia in Ligotti. Against Deleuze, and following Brassier, we cannot allow the time of consciousness, the Bergsonian time of the duree, to override natural time, but instead acknowledge that it is an unfortunate fact of existence as a thinking being. Horror-time, the time of consciousness, with all its punctuated moments and drawn out terrors, cannot compare to the deep time of non-existence both in the unreachable past and the unknown future. Experience consists of intuitions, which belong to the sensibility, and of judgments, which are entirely a work of the understanding. But the judgments which the understanding makes entirely out of sensuous intuitions are far from being judgments of experience. For in the one case the judgment connects only the perceptions as they are given in sensuous intuition [….] Experience consists in the synthetic connection of appearances (perceptions) in consciousness, so far as this connection is necessary (43-44). Here it is difficult to dismiss the queasiness that Kant’s legalism induces upon sight for both Badiou and David-Menard. Kant’s thought becomes, as Foucault says when reflecting on Sade’s text in relation to nature, “the savage abolition of itself” (Madness and Civilization, 285). For Badiou, Kant’s philosophy simply closes off too much of the outside, freezing the world of thought in an all too limited formalism. Critical philosophy is simply the systematized quarantine on future thinking, on thinking which would threaten the formalism which artificially grants thought (and philosophy) its own coherency in the face of madness. Even the becoming-mad of Deleuze, while escaping the rumbling ground, makes grounds for itself, mad grounds but grounds which are thinkable in their affect (The Logic of Sense, 7). The field of effects allows for Deleuze’s aesthetic and radical empiricism, in which effects and/or occasions make up the material of the world to be thought as a chaosmosis of simulacra. Given a critique of an empiricism of aesthetics, of the image, it may be difficult to justify an attack on Kantian formalism with the madness of literature, which does not aim to make itself real but which we may attempt to make real (but such mental effort of course only reinscribes the unreality of fiction). That is, how do Lovecraft’s and Ligotti’s materials, as materials for philosophy to work on, differ from either the operative formalisms of Kant or the implicitly formalized images of Deleuzian empiricism? It is simply that such texts do not aim to make themselves real, and make claims to the real which are more alien to us than familiar, which is why their horror is immediately more trustworthy. This is the madness which Blanchot discusses in The Infinite Conversation through Cervantes and his knight – the madness of book-life, of the perverse unity of literature and life (388-389) a discussion which culminates in the discussion of one of the weird’s masters, that of Kafka. The text is the knowing of madness, since madness, in its moment of becoming-more-mad, cannot be frozen in place but by the solidifications of externalizing production. This is why Foucault ends his famous study with works of art. Furthermore extilligence, the ability to export the products of our maligned brains, is the companion of the attempts to export, or discover the possibility of intelligences outside of our heads, in order for philosophy to survive the solar catastrophe (Lyotard, 122). To borrow again from Deleuze, writing is inseparable from becoming (Essays Critical and Clinical, 1). The mistake is to believe that madness is reabsorbed by extilligence, by great works, or that it could be exorcised by the expelling of thought into the inorganic or differently organic. Going out of our heads does not guarantee we will no longer mean we cannot still go out of our minds. This is simply because of the outside, of matter, or force, or energy, or thing-in-itself, or Schopenhauerian Will. In Lovecraft’s “The Music of Erich Zahn” an “impoverished student of metaphysics” (174) becomes intrigued by strange viol music coming from above his room. After meeting the musician the student discovers that each night he plays frantic music at a window in order to keep some horridness at bay, some “impenetrable darkness with chaos and pandemonium” (179). The aesthetic defenses provided by the well trained brain can bear the hex of matter for so long, the specter of unalterability within it which too many minds obliterate, collapsing everything before the thought of thought as thinkable or at least noetically mutable on our own terms. Transcendental paranoia is the concurrent nightmare and promise of Paul Humphrey’s work, of being literally out of our minds. It is the gothic counterpart of thinking non-conceptually but also of thinking never belonging to any instance of purportedly solid being. As Bataille stated, “At the boundary of that which escapes cohesion, he who reflects within cohesion realizes there is no longer any room for him” (Theory of Religion, 10) Thought is immaterial only to the degree that it is inhuman, it is a power (a process rooted in an object itself the side effect of forces and processes) that tries, always with failure, to ascertain its own genesis. Philosophy, if it can truly return to the great outdoors, if it can leave behind the dead loop of the human skull, must recognize not only the non-priority of human thought, but that thought never belongs to the brain that thinks it, thought comes from somewhere else. To return to the train image from the beginning “a locomotive rolling on the surface of the earth is the image of continuous metamorphosis” (Visions of Excess, 7) this is the problem of thought, and of thinking thought, of being no longer able to isolate thought, with only a thought-formed structure. One of the central tenets of Francois Laruelle’s non-philosophy is that philosophy has traditionally operated on material already presupposed as thinkable instead of trying to think the real in itself. Philosophy, according to Laruelle, remains fixated on transcendental synthesis which shatters immanence into an empirical datum and an a prori factum which are then fused by a third thing such as the ego. For a critical account of Laruelle’s non-philosophy see Ray Brassier’s Nihil Unbound. Ayad, Neddal. “Literature Is Entertainment or it Is Nothing: An Interview with Thomas Ligotti.” Fantastic Metropolis (2004). n.pag. Web. Badiou, Alain. Logics of Worlds Volume 2. Trans. Alberto Toscano. New York: Continuum, 2009. Print. Bataille, Georges. “Formless.” in Visions of Excess: Selected Writings, 1927-1939. Ed. and trans. Allan Stoekl. Minnesota: Minnesota Press, 1985: 31. Print. —. “The Labyrinth” in Visions of Excess: Selected Writings, 1927-1939. Ed. and trans. Allan Stoekl. Minnesota: Minnesota Press, 1985: 171-178. Print. —. Theory of Religion. Trans. Robert Hurley. New York: Zone Books, 2006. Print. Blanchot, Maurice. The Infinite Conversation. Trans. Susan Hanson. Minneapolis: Minnesota, 1993. Print. Brassier, Ray. “The Expression of Meaning in Deleuze’s Ontological Proposition” Pli 19 (2008). Print. Cardin, Matt. “’…it’s all a Matter of Personal Pathology’: an Interview with Thomas Ligotti.” The Teeming Brain (2006). n.pag. Web. David-Menard, Dominique. “Kant’s ‘An Essay on the Maladies of the Mind’ and ‘Observations on the Beautiful and the Sublime.’” Trans. Allison Ross. Hypatia 15.4 (2000): 82-98. Print. Deleuze, Gilles. The Logic of Sense. Trans. Mark Lester and Charles Stivale. Ed. Constantin V. Boundas. New York: Columbia Press, 1990. Print. —. Essays Critical and Clinical. Trans. Daniel W. Smith and Michael A. Greco. London: Verso. 1998. Print. Deleuze, Gilles and Felix Guattari. A Thousand Plateaus: Capitalism and Schizophrenia Volume 2. Trans. Brian Massumi. Minneapolis: University of Minnesota Press, 1987. Print. Foucault, Michel. Madness and Civilization. Trans. Richard Howard. New York: Vintage, 1988. Print. Grant, Iain Hamilton “Prospects for Post-Copernican Dogmatism: The Antinomies of Transcendental Naturalism.” in Collapse Volume 5. Ed. Robin Mackay. Fallmouth: Urbanomic, (2009): 413-414. Print. Gratton, Peter. “Vibrant Matters: An Interview with Jane Bennett.” Philosophy in a Time of Error. April 22, 2010. Web. Joshi, S.T. H.P. Lovecraft: The Decline of the West. Berkley Heights: Wildside Press, 1990. Print. Kant, Immanuel, Prolegomena to any Future Metaphysics, 2nd ed. Trans. James W. Ellington. New York: Hackett Publishing Company 2001. Print. Ligotti, Thomas. “Professor Nobody’s Little Lectures on Supernatural Horror.” In Songs of a Dead Dreamer. Michigan: Subterranean Press, 2010. Print. —. “I Have a Special Plan for This World” in My Work is Not Yet Done. London: Virgin Books. 2009. Print. —. The Conspiracy Against the Human Race. New York: Hippocampus Press, 2010. Print. Lovecraft, H.P. “Notes on Writing Weird Fiction.” Ed. Donovan K. Loucks. The H.P. Lovecraft Archive. October, 2009: n. pag. Web. —.”The Materialist Today.” in Collected Essays, Volume 5: Philosophy; Autobiography & Miscellany. Ed. S.T. Joshi. New York, NY: Hippocampus Press, 2006. Print. —. “Call of Cthulhu.” in H.P. Lovecraft: The Fiction. Ed. S.T. Joshi. New York: Barnes and Noble, 2008: 355- 379. Print. —. “At the Mountains of Madness.” in H.P. Lovecraft: The Fiction. Ed. S.T. Joshi. New York: Barnes and Noble, 2008: (723-806). Print. —.“The Dream-Quest of Unknown Kaddath.” in H.P. Lovecraft: The Fiction. Ed. S.T. Joshi. New York: Barnes and Noble, 2008: (409-489). Print. —.“The Unnameable.” in H.P. Lovecraft: The Fiction. Ed. S.T. Joshi. New York: Barnes and Noble, 2008: (256- 261). Print. —.“The Music of Eric Zann.” in H.P. Lovecraft: The Fiction. Ed. S.T. Joshi. New York: Barnes and Noble, 2008: (174-180). Print. Lyotard, Jean-Francois. The Inhuman: Reflections on Time. Trans. Geoffrey Bennington and Rachel Bowlby. Stanford: Stanford University Press, 1991. Print. Meillassoux, Quentin. “Subtraction and Contraction: Deleuze, Immanence, and Matter and Memory.” Collapse Vol. 3. Ed. Robin Mackay. Falmouth: Urbanomic, (2007): 63-107. Print. Mellville, China. Iron Council. New York: Del Rey/Ballantine, 2004. Print. Satanis, Venger. “Devotees of Decay and Desolation.” Ed. Darrick Dishaw. Eldritch Infernal. 2008: n.pag. Web. Kegan Paul, Trench, Trubner & co. 1906. Print. Thacker, Eugene. Afterlife. Chicago: University of Chicago Press, 2010. Print. Trafford, James. “The Shadow of a Puppet Dance: Metzinger, Ligotti and the Illusion of Selfhood” in Collapse Volume 4. Ed. Robin Mackay. Falmouth: Urbanomic, 2008: 185-206). Print. The history of philosophy looks a bit like a sine wave (or a roller coaster, if you prefer). It goes up and then down, up again, and then down. What constitutes Latin American philosophy? In a way, such a question is of a piece with a central topos of Latin American culture: that is, the lack of ground for the unity of what is gathered together under the name. Philosophy is typically depicted as a solitary activity conducted in remote natural settings — a hut next to a fjord, a clearing in the middle of a forest, a cave on the slope of a mountain, or, these days, a rocking chair on a porch in a quaint college town.